Founded in 1893, the Henry Street Settlement is one of the oldest social service agencies in America. 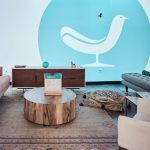 Located on Manhattan’s Lower East Side, it delivers a range of services, plus healthcare and arts programs, to more than 60,000 people each year. 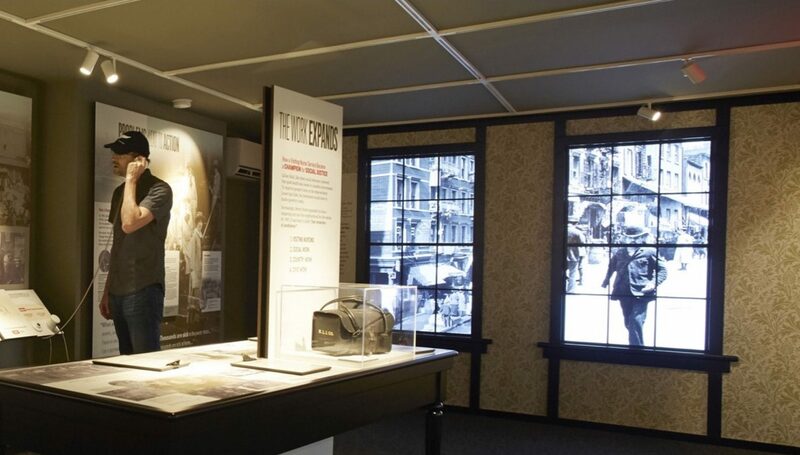 For its 125th anniversary, Think Simple helped producer and design consultant Studio Black create a House on Henry Street history museum, located in a niche off the agency’s main entrance. 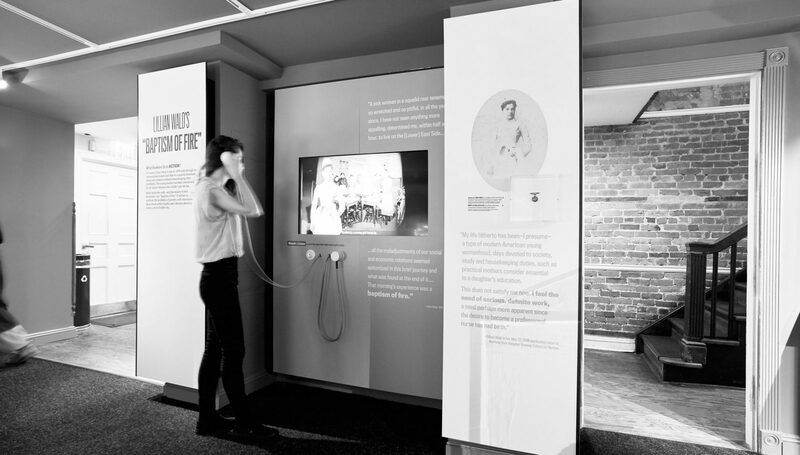 The museum celebrates the settlement house movement and Henry Street’s founder Lillian Wald, a well-known nurse and progressive reformer. 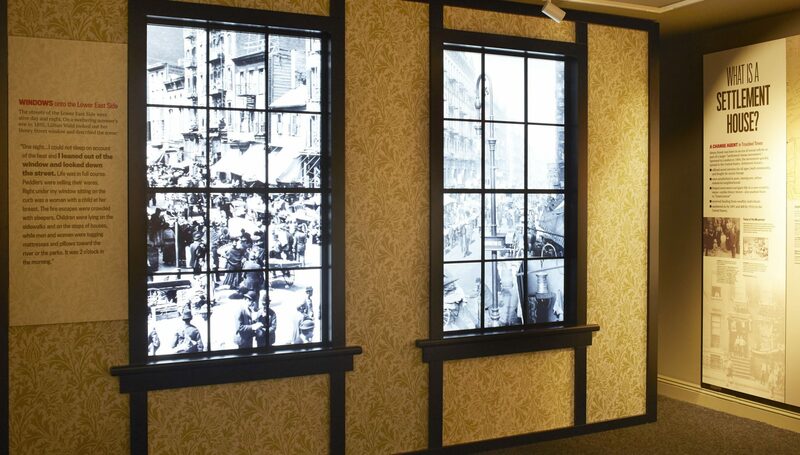 Working closely with Tom Haggerty and Tristan Valencia of Studio Black, we built the technology behind several interactive and video exhibits, including four windows in time that allow visitors to look out on city streets as they existed at the end of the 19th Century. 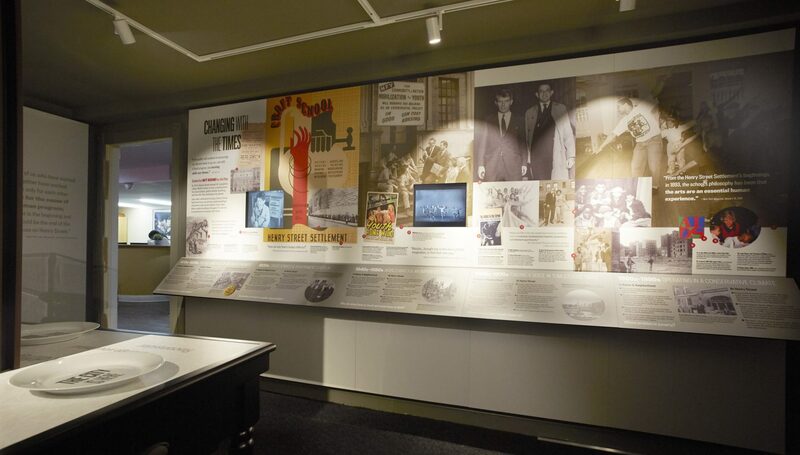 To do so, we integrated several Planar and Samsung displays into the exhibit millwork, programmed and installed BrightSign players for video and audio playback, and programmed and installed a Crestron automation system that turns the exhibits on and off to synch with the settlement house hours and controls background and program audio. There are two main parts of the AV system. The first uses compact Meyer MM-4XP speakers to play street sounds that sync with video shown on the “windows,” which we created using wall-mounted 65” flat-panels installed together with period window frames and mullions. 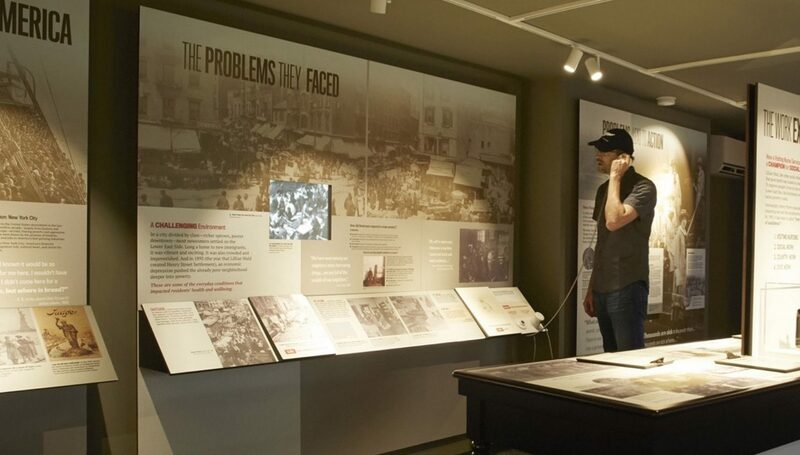 The volume of this background audio, which helps create a 19th Century ambiance for the exhibits, rises automatically as visitors enter the museum, then drops again after they leave. 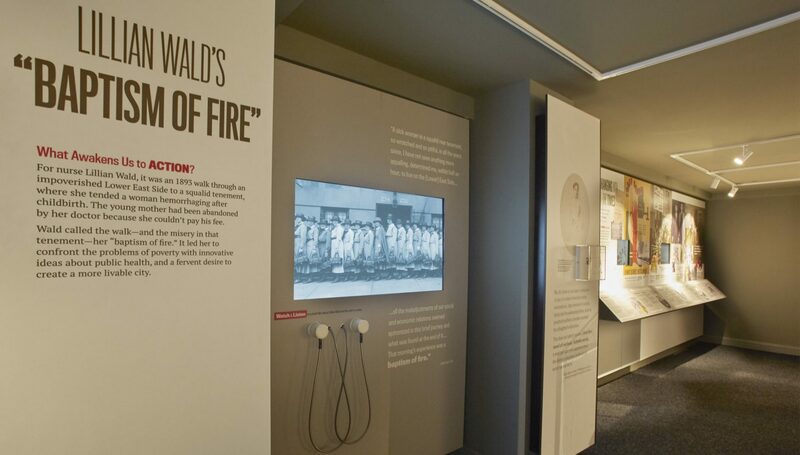 The second uses smaller displays integrated into individual exhibits. Here the program audio is provided by Molitor USO handsets, which turn on automatically when visitors raise them to their ears.